Electric City Texas, Texas Panhandle Ghost Town. 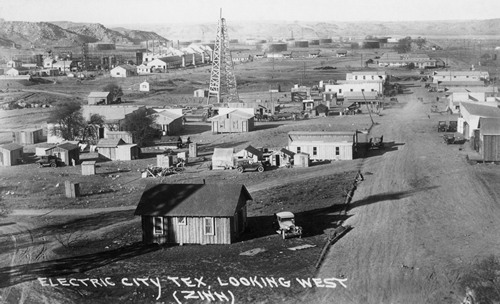 The town was built in 1926 during the Hutchinson County oil boom. The name is a reference to the Riverview Power Plant, constructed by the Panhandle Power and Light Company to furnish electricity to the oil fields - allowing them to drill at night. 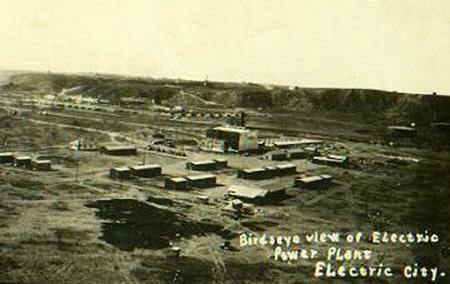 Following a 24 hour, seven day schedule, the plant produced its first lights in November of '26. A camp grew around the facility as the boom continued, and it started evolving into an actual community. It might have remained if not for the improvement of the highway and its proximity to Borger. A few residents stayed and even as late as 1948 five people called Electric City home. By chance found your site and was very interested in the pictures of camp. I was born in Borger and lived in Riverview. My dad worked at the Power Plant. I have looked at the images of the area on google earth and am able to place where we lived and even though the houses are long gone, the trees tell where they were. Thie image of camp you have on the site, does not seem to fit any of these configurations so was very puzzled unless it was not taken facing West. I do have images (will have to look for them) and when I find them, will email them to you. Do you have any other images I could see? 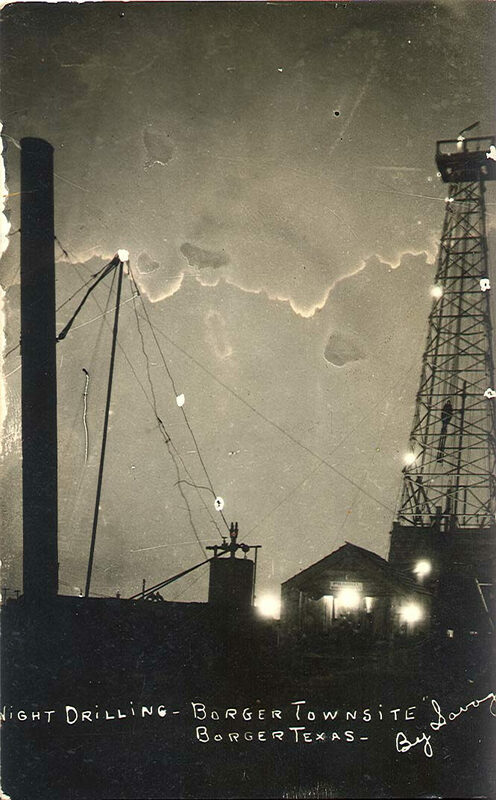 To share history or photos of Electric City, Texas, please email us.